Let our experienced sales staff guide you in selecting the perfect menu for your meeting or special occasion. If you prefer, your guests can order directly from our regular dinner menu. Our award-winning wine list features over 225 labels and imported vintages, and our wine sommelier will happily assist you with your selection. We’ll gladly arrange audio-visual equipment, flowers, special cakes and desserts. In fact, we’ll handle everything, so you don’t have to give it a second thought. 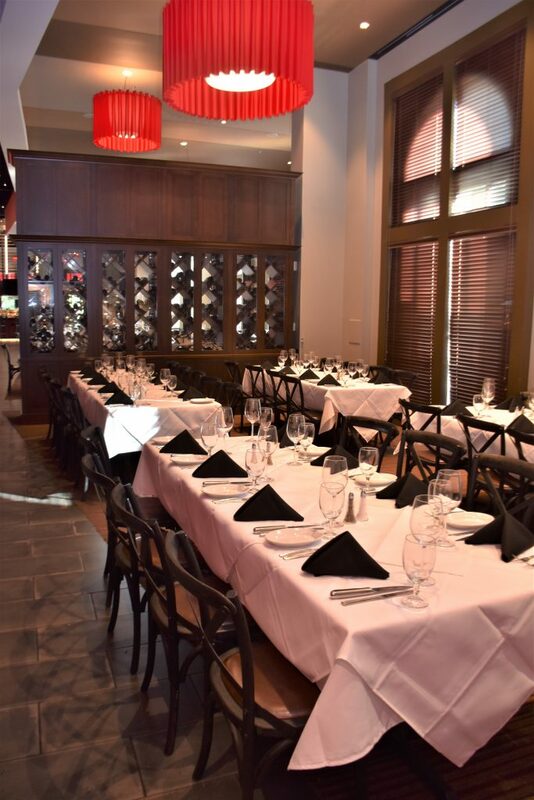 Host your next Lunch or Dinner event with us. 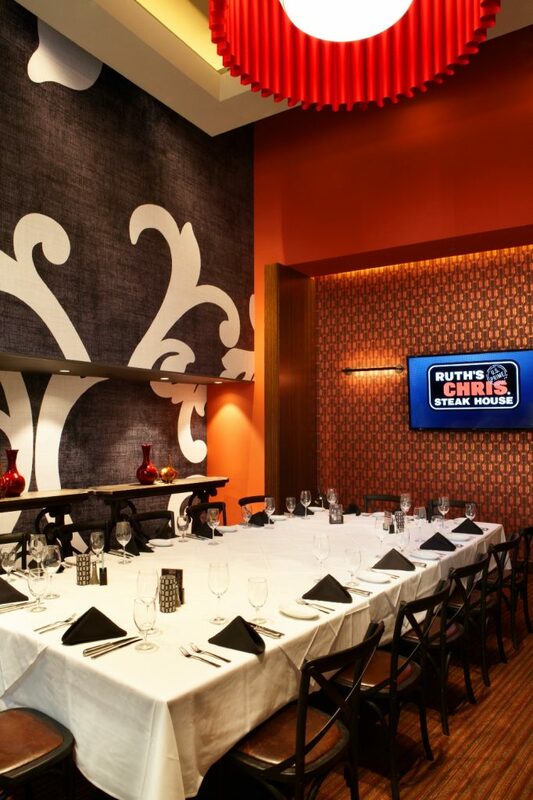 Planning, Presenting, Promoting, Networking, Negotiating, Rewarding or Celebrating…Our Party Rooms Are Set! Ruth’s Chris event catering service delivers the service, the expertise and of course, the flavor wherever you and your guests gather. 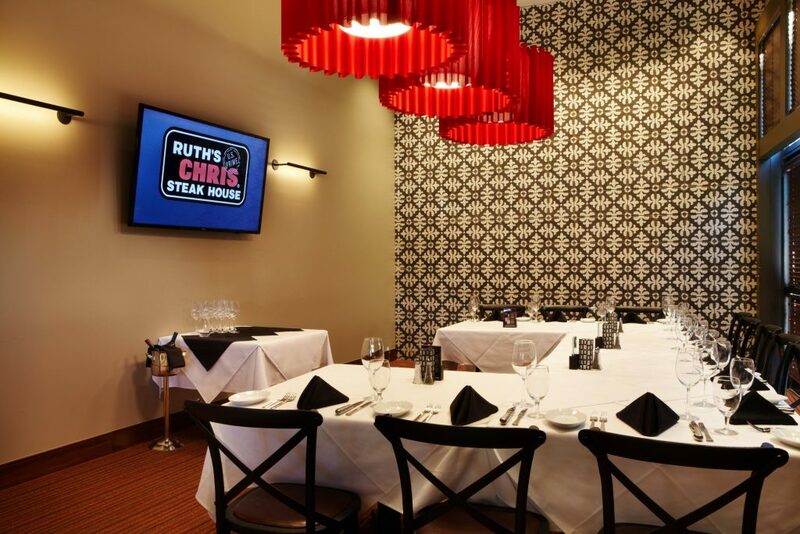 Our signature steak experience arrives at your location with an on-site Private Event Manager and a dedicated team of executive chefs, certified bartenders and Ruth’s Chris trained servers. From choosing your menu to overseeing the smallest details, Ruth’s Chris event catering staff looks forward to helping create your perfect occasion.